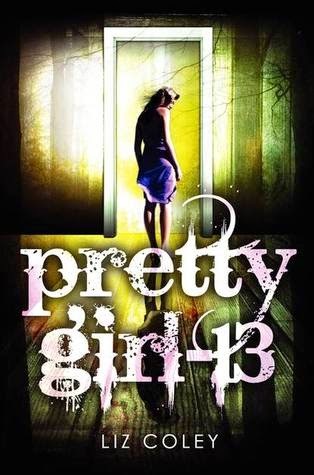 Pretty Girl 13 is about Angie, a thirteen-year-old girl who gets kidnapped whilst out camping with her friends. Fast forward three years and she is outside of her house with no memory of what has happened whilst she was missing. Angie begins to uncover the darkest corners of her mind with help from a psychologist in order to find out what happened, who is responsible and why she can't remember. I have very mixed feelings about this book. Whilst I was reading it, I enjoyed it and I was gripped by the plot line so it kept me turning each page. However, some parts made me question the psychology behind the ideas. I'm a psychology student but haven't studied the aspect that is relevant to this story (saying what it is would be a spoiler) so I'm not sure how accurate the therapy and psychological theories were, which annoyed me a bit and is definitely something I'll be looking into. Whilst reading the story, I found it was intriguing, if not slightly predictable. The main storyline and previously mentioned spoiler is the most obvious to me, as I had predicted it practically from the start, but that didn't take away my enjoyment when reading this book. Angie was an interesting main character and I liked the little glimpses of her personality that we saw. The book was mainly written in third-person, which I found a little jarring, but was necessary for the storyline to be communicated to the reader effectively. I couldn't pick this book up then put it down, as it took a while to get back into the writing style - this book calls for longer reading periods so you have as little stop time as possible. I would definitely recommend reading this book, particularly if you are a fan of psychology and mental health. The twists and turns towards the end were what tipped this book into the four-star realm for me. If you're looking for a psychologically disturbing thriller, this one may be for you.